More big consumer brands are looking into how they can capitalize on loosening restrictions on cannabis products. Hong Kong (CNN Business) — Could Budweiser drinkers soon be swapping beer for pot? Tilray’s Nasdaq-listed stock surged following the announcement of the tie-up, gaining about 13% premarket on Thursday. The company, which is based in British Columbia, specializes in medicinal cannabis products. Its stock has more than quadrupled since it went public on the Nasdaq in July. The company’s backers include billionaire investor Peter Thiel’s venture capital firm Privateer Holdings. 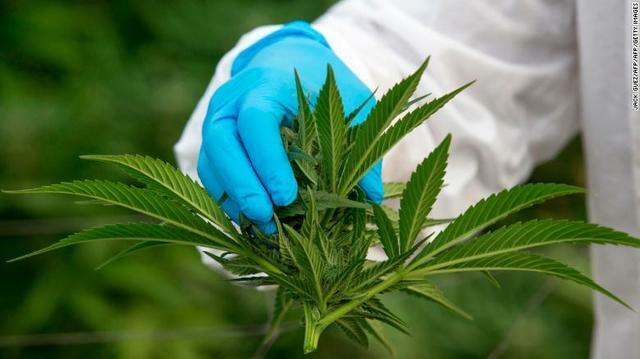 Earlier this week, Tilray announced a partnership with Swiss pharmaceuticals company Novartis (NVS) to distribute medicinal pot in international markets. With Democrats winning control of the US House of Representatives, Congress may finally pass the Farm Bill, which would make it legal to produce hemp and potentially open the door for more products containing cannabidiol (CBD), a element found in cannabis. Paul R. La Monica contributed to this report.